Chelsea and Ali's engagement photos were taken in Richland Wa at one of Tri Cites best look out points. Chelsea already looked like a beautiful bride in her white dress and and Ali a groom in his tux. The mountain views in the background with the soft December fog rolling in was perfect for this classical engagement session. 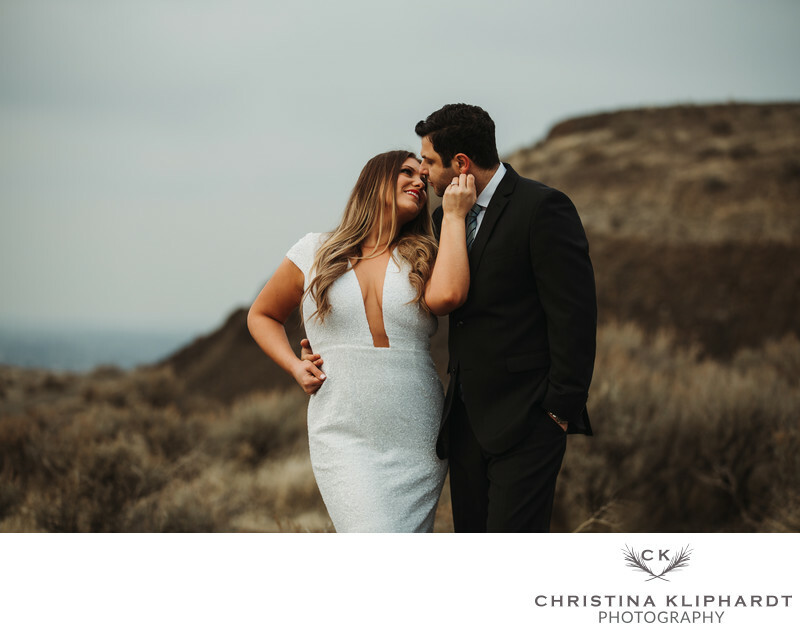 Chelsea and Ali are from California and will be saying their vows there surrounded by friends and family and even though I wont be there to be her wedding photographer I am so blessed to get to capture some engagement photos of this lovely lady! Location: Richland Wa Top of The World 454 Keene Rd, Richland Wa 99352.